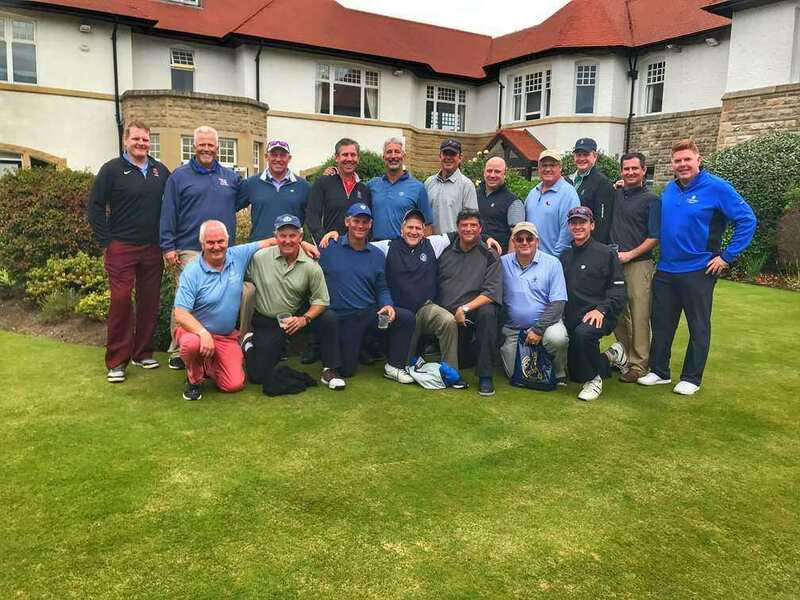 As a tour operator established in 2004 we've looked after our share of golfers throughout the UK and Ireland. Among these are the families of PGA tour professionals, leading business professionals, incentive groups and gatherings of golf buddy trips. Our track record is flawless and we've plenty of clients happy to share their past experience with us. Going into our 2017-2018 booking cycle we are fortunate to say most of our business is word of mouth. Below are some kind words from clients. We do have a review book with hundreds of letters going back to 2004 and it would be difficult to place all on this page in an easy format to view. Garreth, Emma & Andra: Thanks for organizing and implementing a great golf trip for your group. The accommodations, golf and personal service were all excellent. We will contact you for future trips and refer you to our friends. Garreth and his team have amazing contacts & destination knowledge to make all the arrangements you need for a great trip"
Garreth, Eamon, and Sinead, sadly we are on the plane on the way back to the US. We had an absolutely fabulous vacation. Every one of the guys commented that they could not have imagined a better trip. The accommodations in Killarney were excellent in both the location of the hotel and the hotel itself. Killarney proved to be a superb place to base ourselves. The golf courses did not disappoint and after having set up my own reservations in the past I truly appreciated Eamon and your team handling all the details for us, so we could sit back and enjoy ourselves. You all delivered on everything you promised and we are so grateful for having selected Emerald Elite as our tour company. Each member of your team that we had contact with was extremely responsive to our needs as well as just great people to deal with. It is true what you said earlier that "there are no strangers in Ireland....only friends that you have not met yet." As far as Eamon, he is probably badly in need of a vacation or at least hazardous duty pay after dealing with our group :). He was a delight to be around. He handled our group expertly and provided us with knowledge and experiences we would not have had without him. Ours is a close knit group and we quickly felt as though he had been with us for years. We are very thankful for having him as our guide. My thanks to the Emerald Elite team and when I have a chance to recommend a tour group to anyone in Ireland, it will without a doubt be Emerald Elite. A recent article in the Wall Street Journal interviewed Francis Ford Coppola about traveling. His favorite overseas spot was Ireland for the people, their warmth and humor, the beauty, the literary tradition and the ice cream. We would agree. Peter was our driver and in his own way, enjoyable and very capable. His grasp of our interests helped with a wonderful visit to Belfast, Falls and Shankill Roads. He then helped us by pushing us to a bit earlier departure from Portstewart allowing us an earlier and much appreciated arrival at Slieve Donard and Van Morrison. As drivers, they obviously serve as the primary touchpoints with clients and all served us well and with distinction. And now to the individual destinations and events. In retrospect, Rho and I would probably have preferred a bit more time in Dublin. The golf at each location was great. We found the caddies at Ballybunion to be the least helpful ? they seemed much more interested in getting groups around the course. Every other course offered caddies who made the effort to offer an enjoyable walk. We made it home in one piece. As you would imagine, we were a little slow getting going on Saturday. We made the flight and were well behaved. We had a great trip. You run a first class operation. Eamon is a real professional and wonderful host. Thanks for having us to your golf club and joining us for the day. With all you have going on, taking time to join us was unnecessary but greatly appreciated. Let me know if there is ever anything I can do to support you or your family. Our trip was superb in every way, and I have already recommended your firm to friends. Mick was a terrific guide and host. We got back from our trip a few days ago, and I cannot begin to describe how great of a trip we had. From the time I first contacted you until the time we left, it was the most seamless vacation I have ever taken. In fact at times, I forgot I was not in the states anymore. First, the people in your office were always the most helpful answering my countless questions. Valerie, in particular, made sure our every need was met. We requested certain amenities and every place we stayed had our requested amenities. Each hotel was nice and had a very courteous staff. The golf was amazing. Every course was in great shape. We lucked out with only one day of rain, but we did not escape the wind. Ballybunion and Old Head were my two favorites. Old Head is as gorgeous a golf course has you will ever see, and Ballybunion possessed the classic links style course I love. The Island’s back nine is very underrated with some great views of the Irish Sea. All in all, your guidance on our course selection created the best golf experience I have ever encountered. Finally, Peter was the most important part of the trip. 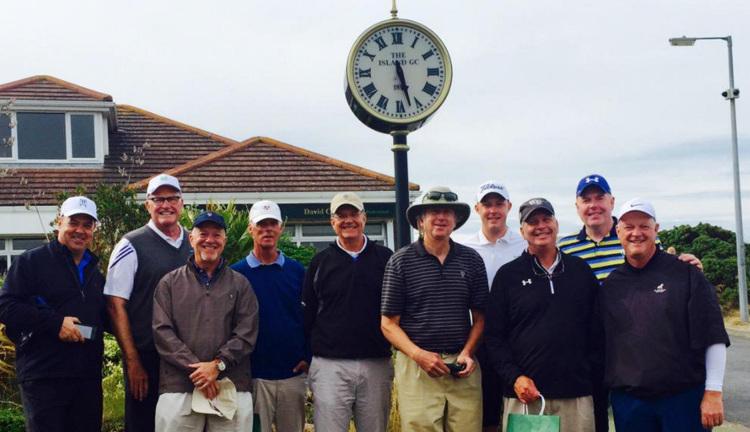 His knowledge of Irish golf, knowledge of Irish history and his great personality made the trip. He could answer every question and seamlessly transitioned into one of our group. He made sure we had great caddies every day and selected great things to do and see when we were not playing golf. For example, a one hour excursion after a round at Waterville to visit a 12th century castle, turned into my favorite part of the trip. I have spoken to many people who have travelled to Ireland for golf, and they all missed the Irish history because their tour guide lacked the knowledge Peter possesses of Ireland. His passion for Ireland is exuded in his stories, which he has quite a few. He also knew the best places to eat and guided us on how to be submersed into local Irish culture. I cannot speak highly enough of the great job Peter did hosting us in Ireland. Garreth, I couldn't imagine the trip going better ,except for weather that you have no control over. All seemed to enjoy the trip. Accommodations, transportation, especially Eamon were excellent. I would have no reservations about recommending your service to any one who would ask. Thanks for your special attention to our group. Gar: I just wanted to let you know how wonderful our golf trip to Ireland was. It was a great experience and I was so glad that I was able to share it with my 77 year-old father. I have to say that golf in your country is completely different than in the States. I will have a much better perspective and appreciation of the game when I watch the British Open this weekend! One thing for sure is that I will never complain about my club?s rough ever again! You did a superb job in setting everything up; courses, tee times, hotels, etc. All of the hotels were awesome; especially the resort at Doonbeg and the resort at Old Head. All of the service staff at all the hotels were wonderful. They were all most helpful, very professional and cheerful. I should also mention that all the folks at the golf courses were equally as wonderful as all the hotel staffs were the whole week and I can?t say enough about all the caddies that we had. I still can?t believe how easily they found our errant shots that were hit in the rough. Truly amazing!! I also wanted to let you know how much Dad and I loved our driver, Mick. I don?t believe you could have put us with anyone better. I have NEVER in my life had a tour guide that was more professional, helpful, courteous and knowledgeable. There wasn?t anything that Mick didn?t know about his country and Dad and I really enjoyed his Irish history lessons. It was wonderful to have someone else in charge of a vacation. At no time did I ever have to review the itinerary. It was great to just be able to show up and enjoy the trip. I will make sure to tell all of my friends about your company and I will make sure to tell them to request Mick as their driver! I will definitely be back!